The Peoples Democratic Party, PDP, on Wednesday gave President Muhammadu Buhari “24 hours to arrest leaders” of Miyetti Allah Cattle Breeders Association, MACBAN. PDP said should Buhari fail to order the arrest of MACBAN leaders and commence their prosecution, Nigerians will hold him responsible for the actions of the group, going forward. The party stated this while reacting to MACBAN’s threat that the Senate President, Bukola Saraki should resign his position or be forced out. in our country, have political backers, who now want to channel them to achieve their unpatriotic quest to subvert our constitution and forcefully take over the National Assembly. 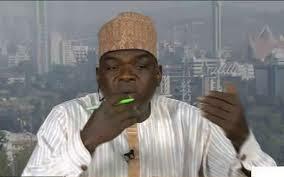 “Before now, to majority of Nigerians, the Miyetti Allah has always represented the military wing of the APC and the Buhari Presidency. It is incontrovertible that they have now become the fourth arm of government that can determine when and how to forcefully remove the number three citizen, the President of the Senate. leadership of this group, otherwise Nigerians will henceforth hold him directly responsible for the utterances and actions of the Miyetti Allah.